Animal clippers have diverse applications: whether in the veterinary clinic to clear hairs from puncture points, in the animal shelter to groom matted cat hair or for dog groomers to trim the complete breed hair style. 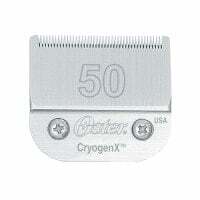 With Praxisdienst, you will find a large selection of clippers for dogs, cats, horses and sheep at affordable prices. 315,00 EUR* Not ready for shipping. Reserve today and we will ship as soon as possible. 126,95 EUR* Not ready for shipping. Reserve today and we will ship as soon as possible. 112,61 EUR* Not ready for shipping. Reserve today and we will ship as soon as possible. 58,81 EUR* Not ready for shipping. Reserve today and we will ship as soon as possible. 33,60 EUR* Not ready for shipping. Reserve today and we will ship as soon as possible. 21,76 EUR* Not ready for shipping. Reserve today and we will ship as soon as possible. 7,20 EUR* Not ready for shipping. Reserve today and we will ship as soon as possible. 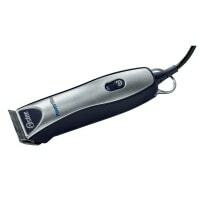 Animal clippers are among the most important fur grooming tools, which is required for many types of animals and breeds for partially or completely sheering the fur. Clippers can be necessary for removing excess wool when sheep are shedding, for example, or when an animal's fur structure results in matting, e.g. as with poodles. 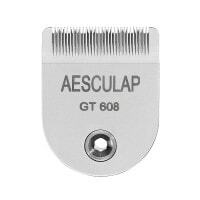 There are special, electric animal clippers for shearing fur which, depending on area of application, differ in strength, volume and shear guard quality. With Praxisdienst, you will find the proper animal clippers for dogs and cats, sheep and horses. 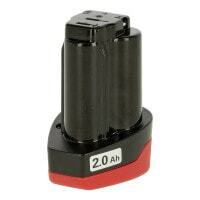 Based on manufacturer and construction, animal clippers can either be powered by mains or rechargeable battery. 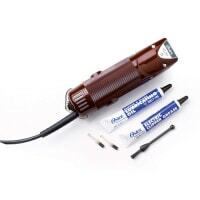 In our online shop, we offer you mains powered and portable animal clippers with rechargeable batteries. 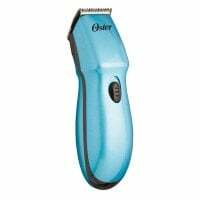 Dog clippers are available in various models for different sizes of animals and for various fur properties. 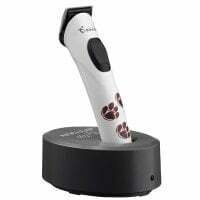 There is the Mini Trimmer, which is only meant for removing small sections of fur prior to blood drawing or acute surgical operations, or this is also larger, more powerful animal clippers with which large dogs can be completely shaven. 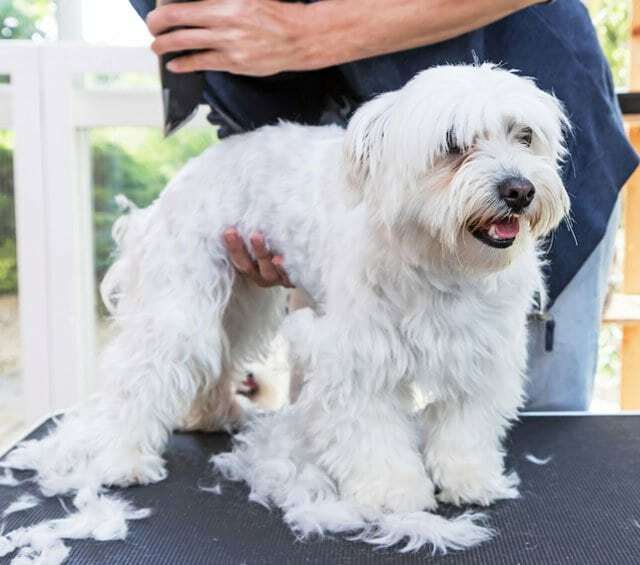 Dog grooming can be necessary for breeds that do not shed their fur which leads to matting, if not removed. In animal shelters, however, it is often the case that dogs are so neglected that the fur must be completely removed. 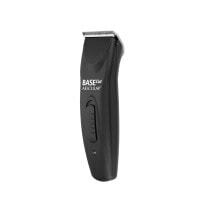 Based on need, there are complete sets available with clippers, blades and comb attachments, as well as stand-alone animal clippers with individually combinable blades. When it comes to adult sheep, which do not regularly shed their wool, it is necessary to completely shear their wool at least once per year. As a rule, this usually takes place in late spring or summer–a good time frame is between April and August. Should the sheep be kept in a cold-protected stall in winter, then it is also okay to shear them in winter. For sheep, special sheep clippers are required that have blades specially adapted to sheep wool. A powerful motor and overheating protection are important criteria in deciding which sheep shearer to purchase. Shearing horses can be necessary if the animal works on a daily basis and thus, sweats profusely. Not only does the fur dry much slower, the animal also tires more quickly as a result of the long winter fur. There are various ways to shear horses. 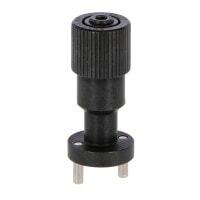 The most widely known methods are the trace clip, blanket clip, hunter clip and full clip. There are also special horse clippers, which are mostly characterised by low noise development, a powerful motor and integrated cooling. 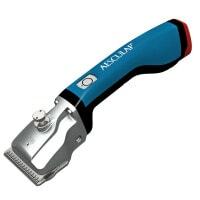 Explore our wide range of high-quality animal clippers and interchangeable clipper blades from renowned manufacturers. 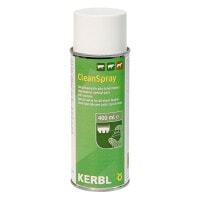 We also offer you care products with which debris and fur remnants can be removed from the animal clipper.